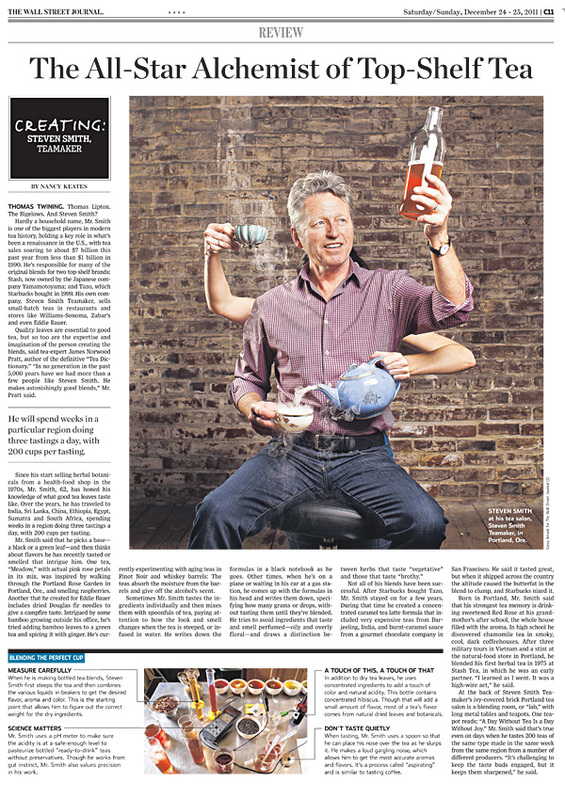 I recently had the honor of photographing one of the most renowned tea makers in the world, Steven Smith for the Wall Street Journal. Mr Smith is the founder of both Stash and Tazo Tea and has moved onto his own high end brand, Steven Smith Teamaker. Nice to have him in the fine city of Portland. The story went public on Dec 24, 2012. Here’s a link to the story online. This entry was posted in assignments, New Pictures and tagged catch, coreyfishes, deadliest, india, oregon, organic, photo, picture, pictures, portrait, smith, stash, steven, tazo, tea, wall street journal. Er…24 December 2012 hasn’t happened yet.